I'm deploying a small network of three MEGAs connected trough an RS-485 bus. Each MEGA is connected to up to 16 push-buttons (wall-mounted) and two relay-module (2 x 8-SSR; located close to the MEGA). The objective is to manage the lighting of the whole house (aka: "switching 'ON' the relay 'R1' when the push-button 'PB1' is pressed"). At the moment, everything runs fine: MEGAs are able to 'broadcast' events along the BUS and each node is able to properly react to both locally-generated events, as well as events coming from the BUS. Above system is running from a couple of weeks and... I'm starting struggling about "updating" the code: having around 40 push-buttons and 35 relay distributed on the three nodes, chances are "high" that some "tuning" (aka: "trial-and-error") is required. Having some ESP8266-12E modules sitting around, I decided to investigate the possibility to use them, as a sort of "WiFi gateway": reaching them via WiFi; sending them the new code; asking them to kindly "upload" the code to its own MEGA that is phisically connected via USART. As mentioned in lots of places (including a comment on this other question) I decided to test the ESP-Link firmware. As for the Arduino side, I'm using a common MEGA (a Chinese one, BTW), so I don't get into details, here, 'cause there is nothing special. My plan is to connect DIRECTLY the USART of the ESP to the USART of the MEGA. This raises some problems, described below. As for point 2) I deeply searched all-around and found plenty of contradictory assertions. In the end, I would like to "trust" the Hackaday article: "Ask Hackaday: Is The ESP8266 5V Tolerant?" as, in several comments, reports various semi-official statements (like a message from Expressif CTO sent from a Facebook account or a message from an "internal" of Espressif) asserting that: "Yes! GPIO PINs on the ESP8266-12E are 5V tolerant"). So, again, I decided: "Ok! Let me go! Let's connect the two, straight, without a level-shifter". And yes: I know that with such a decision, I'm taking some risks and... can "burn" something, especially on the ESP side. Question 1: How much I'm "brave" in connecting straight-away the TX/RX of the ESP8266 to the RX/TX of the MEGA? Would you suggest it? And why? While working on my RS-485 bus, I learnt that it's critically important to have a "common ground" among my MEGAs. That sounds understandable... as otherwise there is NOT a common reference to evaluate the same signal among different devices. Question 2: Do I need to connect a GND PIN on the MEGA to a GND PIN on the ESP? Do the two boards, to properly operate, need a shared/common GND? In order to trigger the flashing of the new sketch on the Arduino side, the ESP need to RESET it. To do this, the ESP need to be connected to the RESET line of the MEGA. The RESET PIN is clearly shown on the MEGA so the connection is really easy. Nevertheless, after some preliminary test... it looks to me that the ESP is UNABLE to reset the MEGA. Question 3: Is, an ESP8266-12E OUTPUT PIN (operating at 3.3V), able to properly handle the RESET PIN of the Arduino? Reset PIN: Bring this line LOW to reset the microcontroller. the one on the board. In the official documentation of ESP-Link I read about potential problems generated (to Arduino) by the ESP as, right after a reboot of the ESP, it send out on TX some debug messages. Due to the USART connections, such characters transmitted by the ESP to the MEGA are received by the MEGA. It's not clear, to me, WHY this could be a problem. Anyway, the same documenation say: "...If you need to avoid this, you can configure esp-link to swap the uart pins..."
As I don't need (currently) any LED feedback, I haven't used GPIO0 and GPIO2. Also, as I don't have an ARM, I haven't used GPIO14. so, from the console output, I can see if Arduino is correctly operating and if it's restart. As soon as I connect the D8/GPIO15/ESP to the RX/MEGA, everything still work, but up to next reset. If I "reset" the Arduino via the ESP-Link web-interface, it reset but.... never boot (I'm sure, as the "blinking" never start). I have successfully used ESP-link firmware with esp-01 and Arduino Pro Mini. For the ESP-01 and Pro Mini, you can find out more on my blog post. 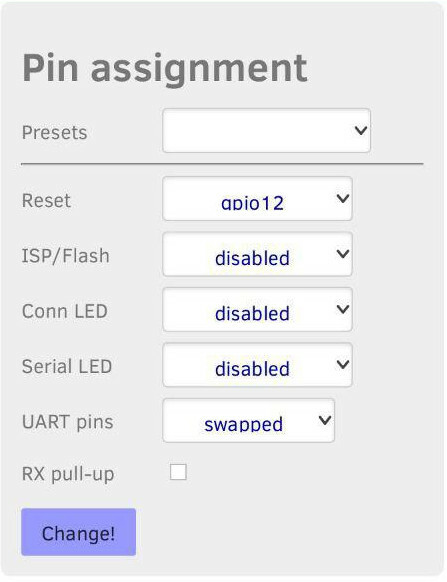 I have connected GPIO 0 of ESP-01 to reset pin of Pro Mini and the Pro Mini can be reset using ESP-Link the web interface. I try to use the same voltage level for both micro-controllers and a single power source. For my example, the Pro Mini is driving the ESP-01 and of-course sharing the common ground. I try not do that as ESP has stated that all the GPIO pins are only 3.3v compatible. Yes, both controller must share a ground. My understanding is RESET is an output pin. 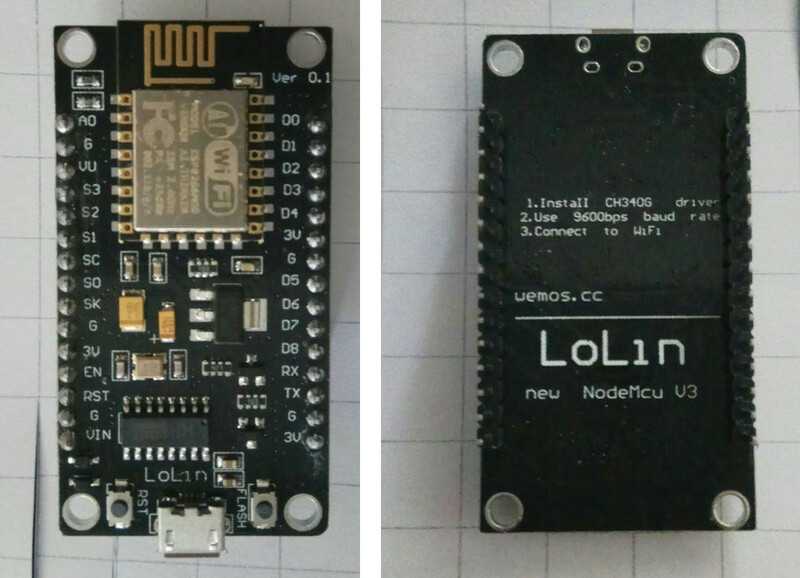 If connected to ESP8266, there is a possibility that the ESP will be damaged. Not sure if your wiring is correct. 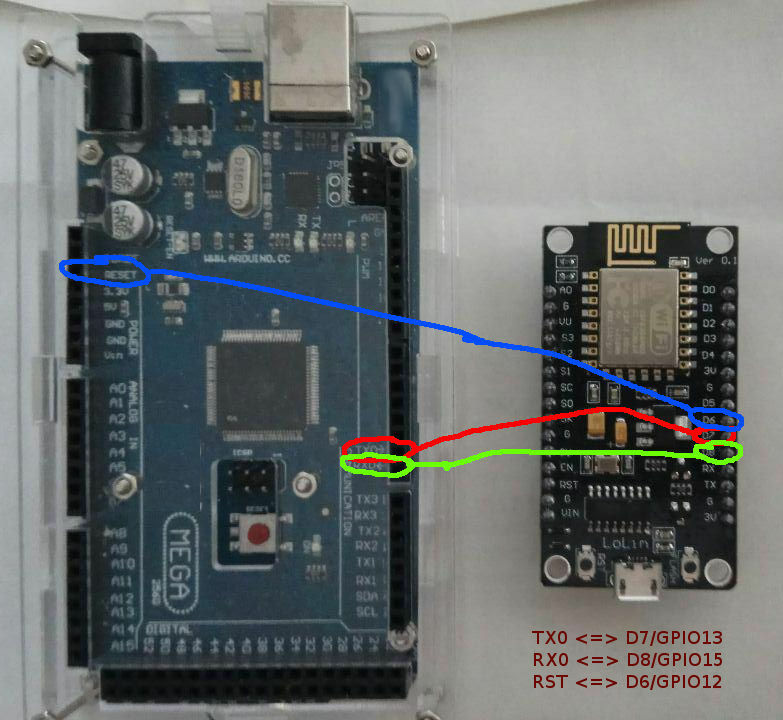 You may reference my diagram on how the ESP and Arduino Pro Mini is wired up. For your case, I will recommend a level shifter to prevent damaged to your ESP. Not the answer you're looking for? Browse other questions tagged arduino-mega esp8266 wireless or ask your own question.